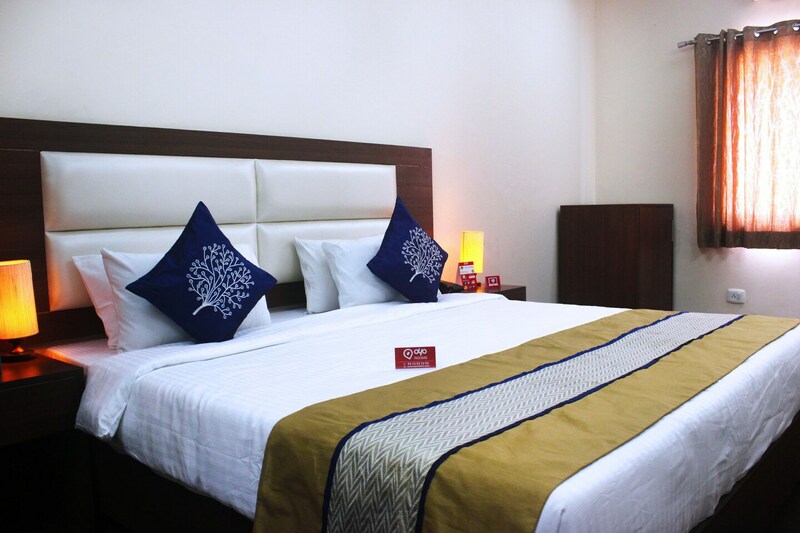 Hotel Royale Park is an elegant and well-decorated property located on the Old Delhi Road, Gurgaon. This hotel is adjacent to the Haryana City bus stop. All the rooms in this establishment are spacious and elegantly designed with modern furniture and in sober hues. The interiors of the rooms and the common areas are decorated in a minimalistic style. There is a large seating area in the reception which is embellished with couches, wall paintings, mirrors etc. All the rooms come with AC, TV, geyser, and free Wi-Fi. The hotel also boasts of other facilities such as power backup, card payment, an in-house restaurant, and a large banquet hall. Dana Choga, Oberoi Biryani, Maachh Bhaat, Burger Hut, etc. are some popular restaurants in the vicinity. Some of the best bargains can be availed of at the DLF Star Mall, Vishal Mega Mart, Coupon Dekho, and NK Prosales Pvt.Ltd which are located nearby.